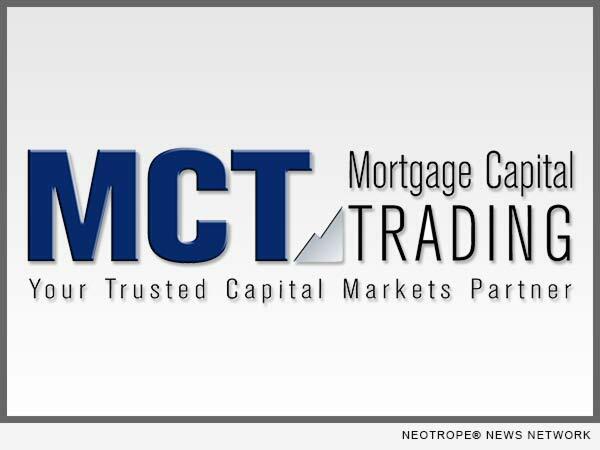 SAN DIEGO, Calif. /California Newswire/ — Mortgage Capital Trading, Inc. (MCT), an industry leading hedge advisory firm and developer of MCTlive! (TM), the award-winning secondary marketing software suite, announced that its president, Curtis Richins, has been designated to HousingWire’s Vanguard Award list for 2016. Now in its second year, the program recognizes executives that have made a positive impact at their companies and for the entire mortgage industry. The list is comprised of C-level and business unit executives who have become leaders in their respective fields within housing and mortgage finance – those whose leadership is moving markets forward, each and every day. HousingWire states that it sets an extremely high bar for the very competitive contest of HW Vanguard Award winners. Mr. Richins has been instrumental in helping MCT hone an unmatched value proposition for lenders that combines a hands-on approach to client support with award-winning secondary marketing technology, MCTlive! This very unique model, coupled with the recent expansion of MCT’s business services, has resulted in MCT being catapulted from a mortgage pipeline hedging firm into a fully-integrated provider of capital markets services and technology.